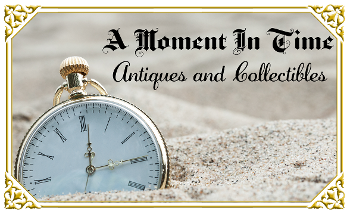 A Moment In Time is a realization of a dream by Andy Domino, who has had a fascination with antiques and collectibles since his childhood, and Tim Hogan, who was thrilled with the prospect of creating a business the family could build and share. Andy brings over 30 years of experience in the antiquing field. Tim brings over 40 years of marketing, management and operational experience. Together with their wives, Tracy Domino and Judy Hogan, this family owned and operated endeavor has a goal of creating an inviting environment for vendors to showcase their finds of delightful, unique merchandise for customers to discover, appreciate and make their own. If you're looking for a place that has a variety of merchandise, you'll find it in our location. Our inventory includes furniture, home decor, collectibles, and a host of unbelievable pieces. 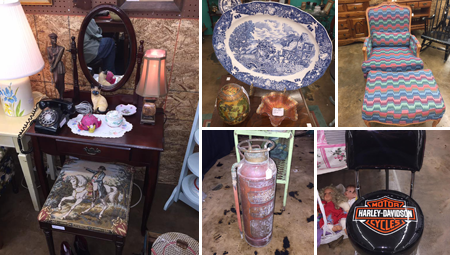 We have things you won't find in a department store, furniture store, or another antique shop. Does our vision of an inviting, friendly environment to showcase your antique and collectible finds fit into your dream of showcasing your merchandise to the public? GIVE US A CALL!! We are always looking for exciting new vendors to share in our efforts. We make booths available for rent by the square foot to antique addicts who want to market their finds. Sometimes there may be a waiting list, so CALL NOW! !